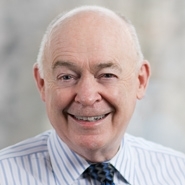 Principal John Cruden (Washington, DC) will speak at the Law Seminars International's 11th Annual Santa Fe Advanced Conference on Litigating Natural Resource Damages, taking place in Santa Fe, NM, from August 9 to 10. The conference will focus on the latest interplay, coordination, and differences evolving between and among State, Federal and Tribal trustees. John will speak in a Special Address titled "Views from the Trenches on Evolving Federal Policy," which will take place from 9:15am to 10:15am (MDT) on August 9. The program will address implications of the federal rejection of climate initiatives and treaties, reopening of federal rules and procedures for Natural Resource Damages under the U.S. Department of Interior, changes to trade policies and global interaction, funding for environmental protection and remediation in the budget.